Virgin of Caacupe Day in Paraguay always falls on December 8th each year and is similar to the Feast of Immaculate Conception where Mary mother of Jesus Christ is preserved from original sin. People will attend a special church service. This day is a national holiday with most government and business offices closed. This holiday has been celebrated for hundreds of years in Parquay and is a very important church holiday. Provides calendars for the calendar year for Paraguay. 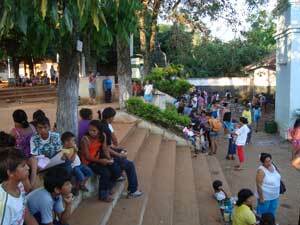 Provides the dates for holidays for the calendar year for Paraguay.